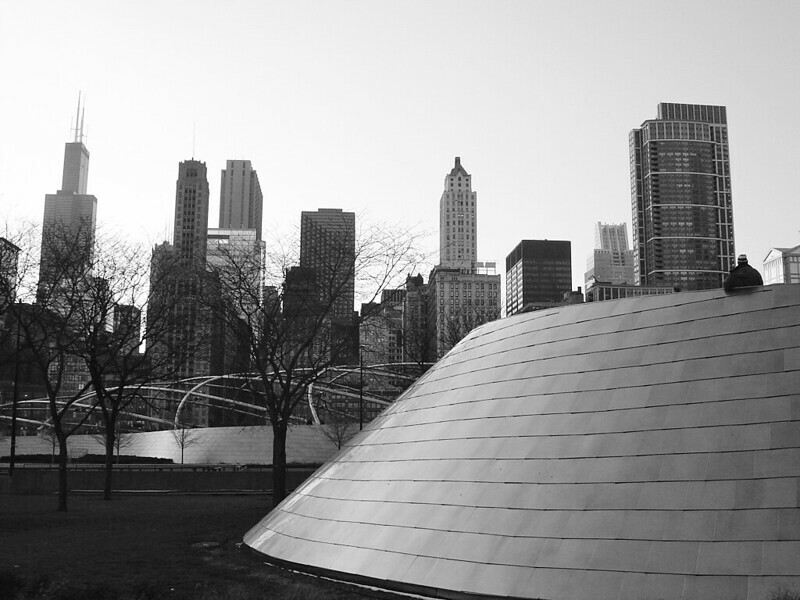 Part of Millennium Park’s BP Bridge, along with some of Chicago’s buildings. When I took this picture, I envisioned it being in black and white. I think it turned out wonderfully. Image published by chrismetcalfTV on 2005-11-28 07:15:59 and used under Creative Commons license.